Whether you're restoring an old hotrod or customizing your new boat to fit your style, Sweet Jones Custom Upholstery offers the solutions you desire. We provide the finest in automotive upholstery for cars new and old, as well as the finest in boat upholstery to ensure long-lasting function and beauty on the water. Our customers have hotrods, used cars with old interiors, and even beautiful, custom lowriders. 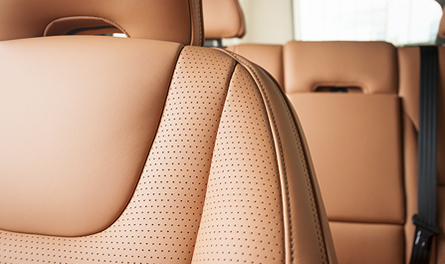 We work with you to customize the interior or automotive upholstery give you exactly the results you want. Whether you're restoring a classic car to factory standards, tailoring one to reflect your personality, or simply replacing a damaged interior; we deliver beautiful upholstery results. You can expect prices starting at $60 a yard for standard upholstery fabric or $80 for custom solutions. We work with RVs, semi-trucks, cars, trucks, motorcycles, four-wheelers, jet skis, tractors, and more. Contact us for a free initial consultation and get started on your project. Our boat upholstery services are designed to give your boat's furnishings a lasting surface that will be protected from the environment. It all begins with a free consultation where we'll discuss what you need, after which we will email an estimate. We work with boats of all sizes with prices starting at $70 per yard.